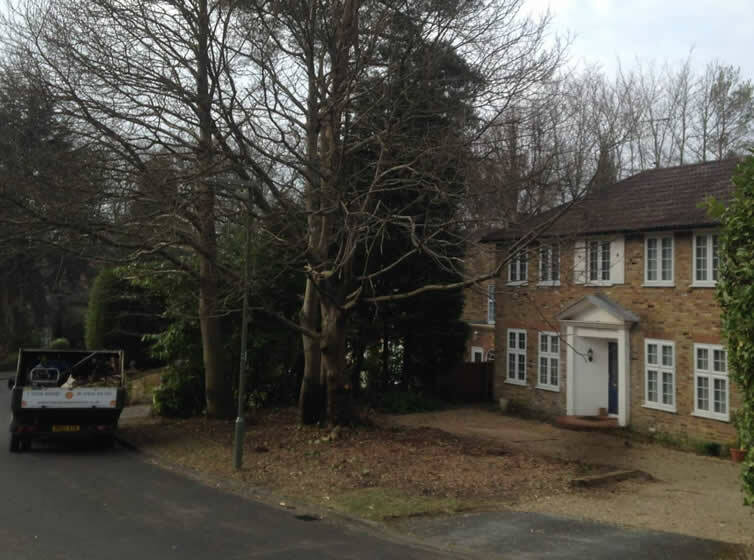 Welcome to TW Tree Stump Removal, a tree specialist covering stump grinding in Guildford and all of the the surrounding villages such as Godalming, East Horsley and Bramley. Whether you’re looking for a simple removal of a tree stump or other tree services for your outdoor space, we have the tools and experience to be able to cater for your project. Tom Weymouth is an expert tree surgeon and tree stump remover based in Camberley, Surrey with over 7 years commercial experience in arboriculture, offering services around the county including Guildford where he has earned a great reputation with local customers ranging from commercial customers including forestry and woodland managers, gardeners, construction companies, clearance companies and estate agents. Our tree surgeons services are also provided to residential customers offering everything from tree stump removal through to other things such as hedge maintenance, reduction as well as ground clearance work. We specialise in the removal of tree stumps, using our state of the art machinery and delivering a clean and tidy end product whereby it is free from regrowth and can be used as a space for replanting. This includes full root removal to take out all of the areas needed. When using stump grinding techniques we carry machinery which can usually access most grounds, carrying out any job, no matter how big or small. Want advice from our tree surgeon?